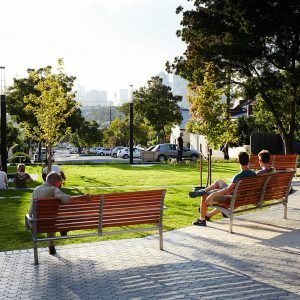 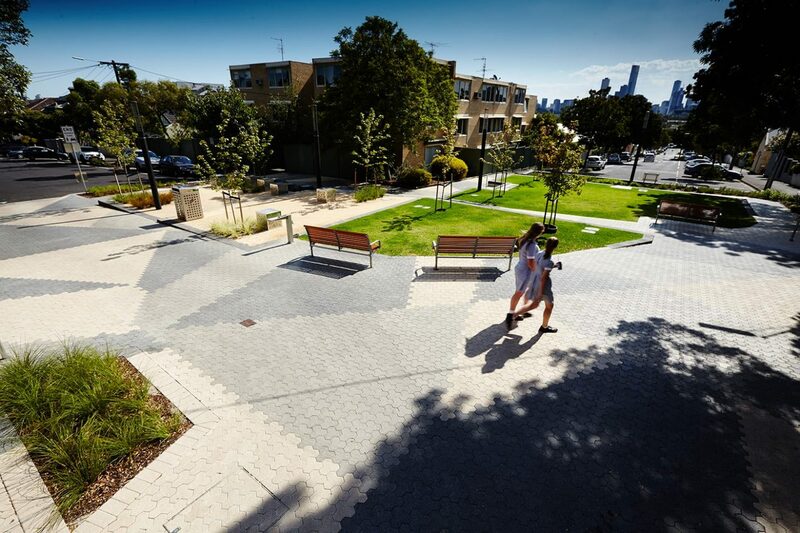 Access to open, green space is widely recognised as a key factor of liveability, however fierce competition for land in Melbourne’s inner city represents a significant barrier for local councils seeking to offer increased access to green space for residents. 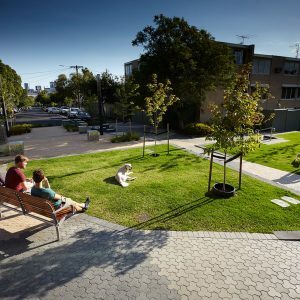 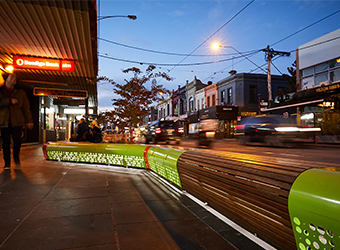 The City of Yarra sought to overcome this challenge via an innovative strategy to reclaim the traditional use of streets, transforming them from places for cars to places for people. 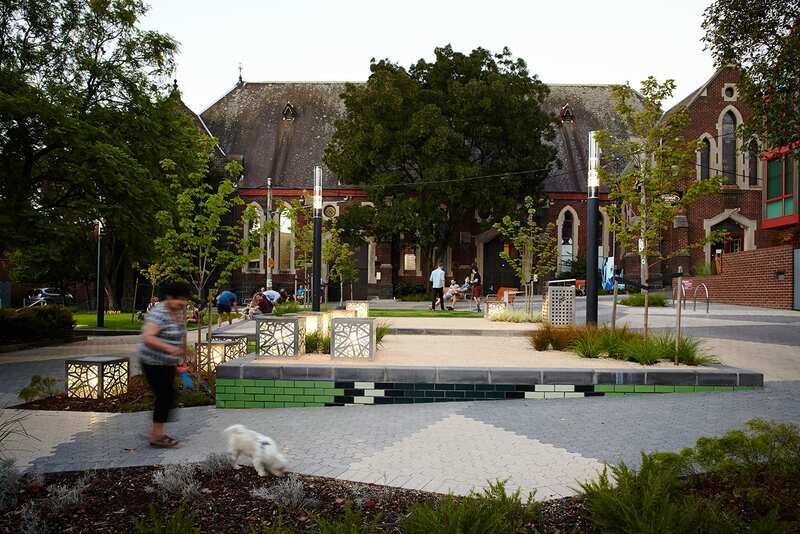 The result was three ‘pocket parks’, created through the closure of former roads including Richmond Terrace Park in Richmond, designed by Hansen. 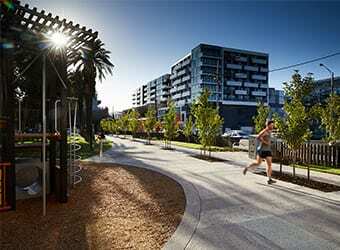 The creation of Richmond Terrace was facilitated through the closure of Richmond Terrace and Docker Street. 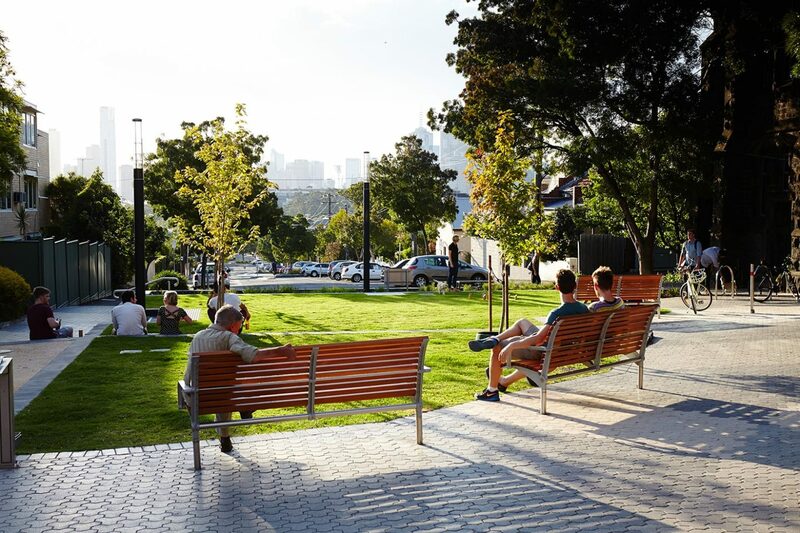 The corner road space has direct views to the CBD skyline and is used by the local community to gather and celebrate events. 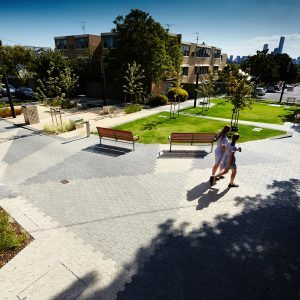 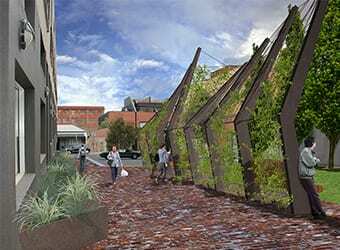 We worked within a variety of complex site-related constraints, including an extensive network of existing underground services, adjoining buildings with strict heritage controls and a vocal local community to produce a highly-resolved concept plan which was approved by City of Yarra councillors and community. 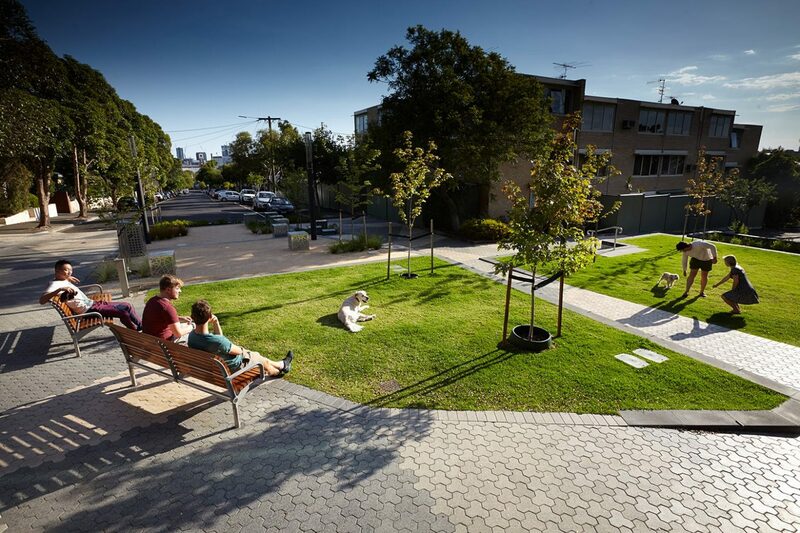 The resulting design concept features a series of terraces for community gathering, including seating spaces and retains existing trees and deciduous trees to optimise the microclimate experience. 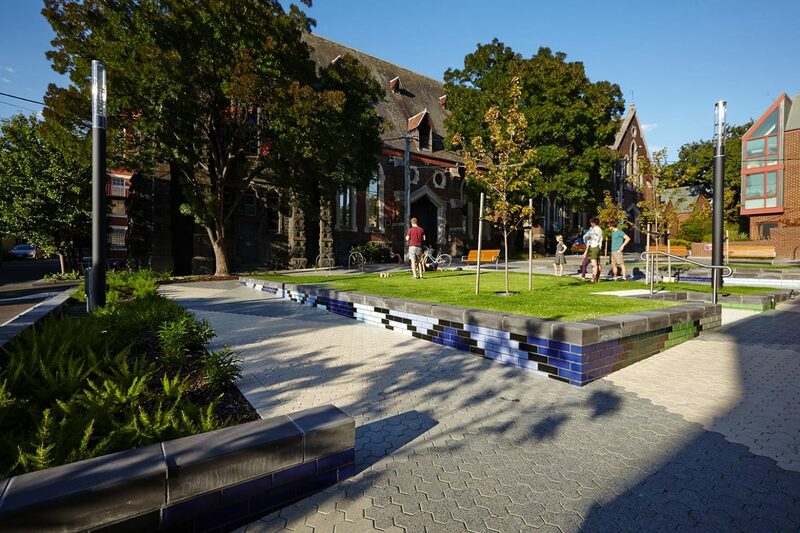 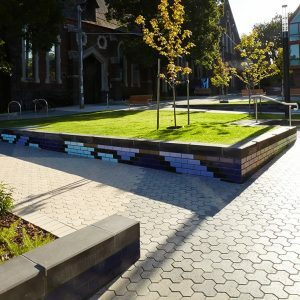 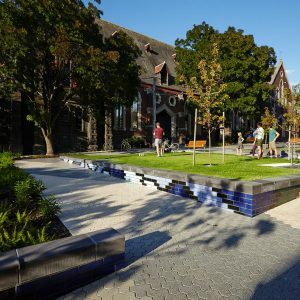 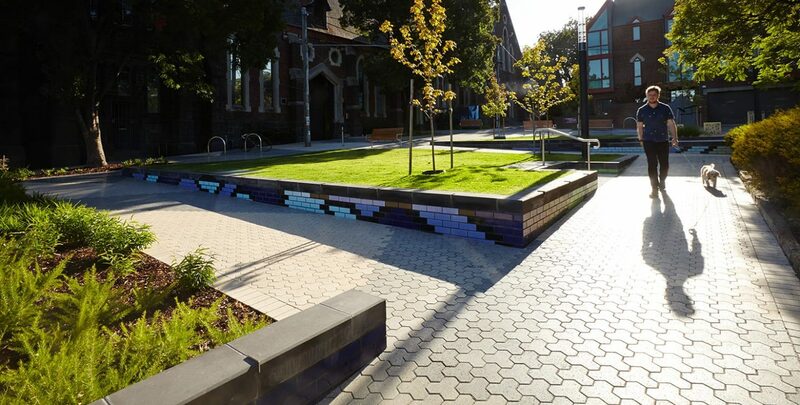 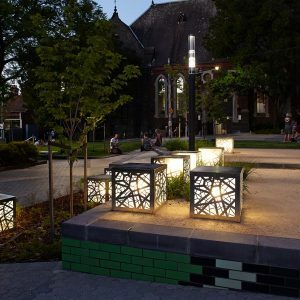 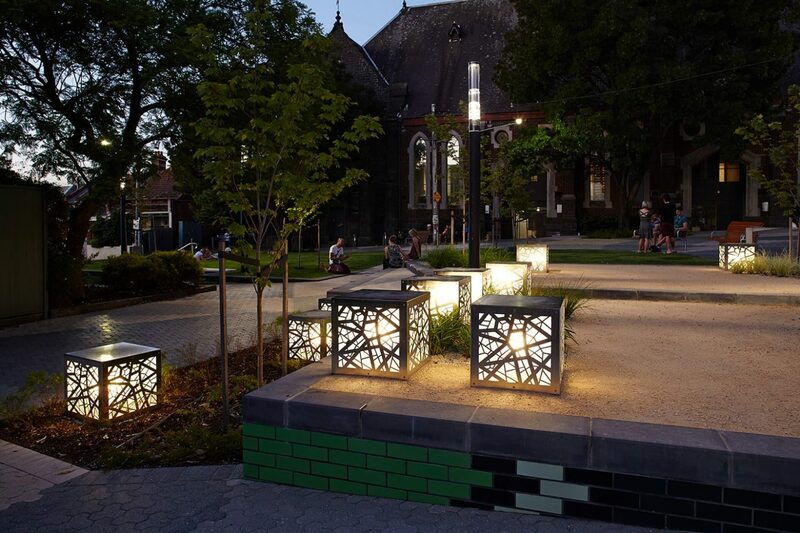 The design also features additional planting beds, a drinking fountain, unique feature lights, a striking custom-designed paving pattern and retaining walls referencing the stained glass windows of the adjacent churches. 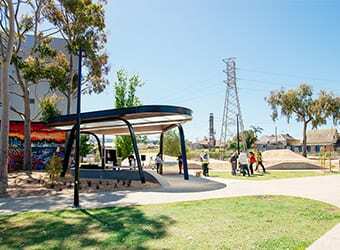 The concept and detailed design work was undertaken with a focus on maximising the benefit for the local community in a manner which ensured demonstrably efficient utilisation of the construction budget.